She has been diagnosed with the above problem in April,2016 & since then she has been on treatment. 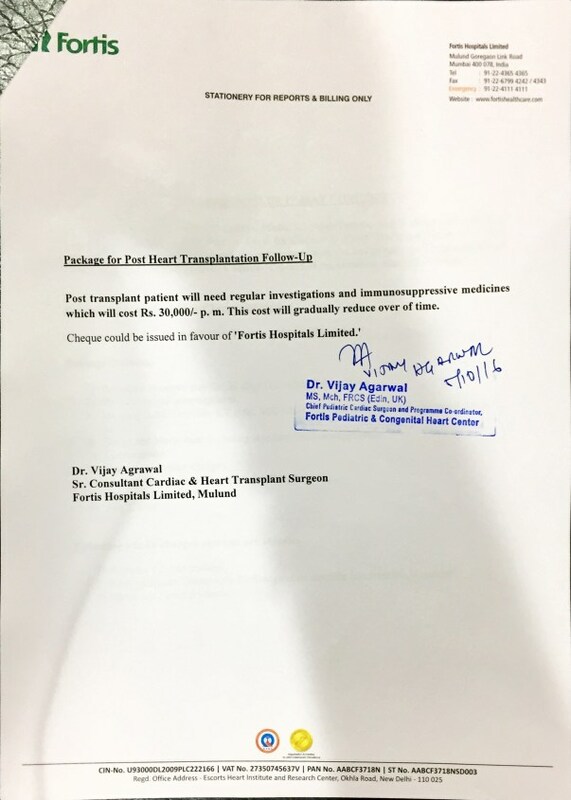 She has been advised to undergo heart transplant, which would be very essential to lead a normal life. 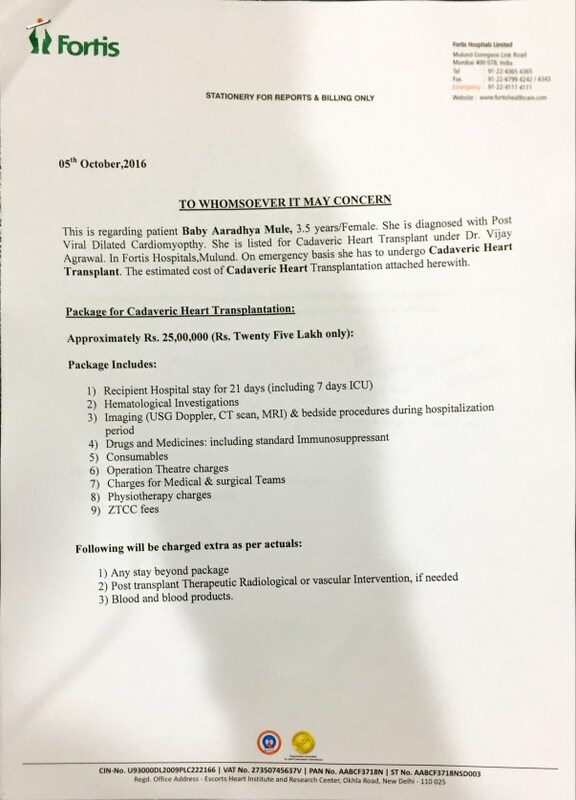 She is listed for cadaveric heart transplant. 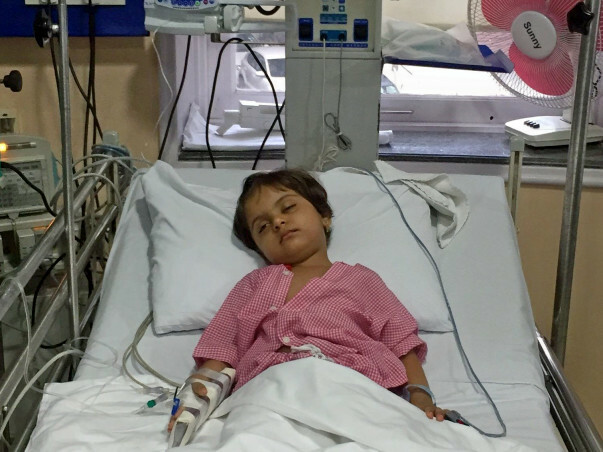 Further after transplant she will be on immunosuppressant drugs which will cost his around Rs. 30,000/- per month. Presently family is financially drained due to high expenses for her treatment & trying hard to arrange funds for the surgeryMr. Yogesh Mule is a father of the child. He is residing at E1/1/B-9, Sector 3E, Kalamboli Panvel. He is working as a consultant for one of private company & earns Rs. 30,000 to 40,000/- Per month. His elderly parents stay with him. His wife is a housewife. He has only daughter who is suffering from above mention illness. They are in lots of emotional and financial stress, due to her sudden diagnosis of heart failure has been a shock for her family. 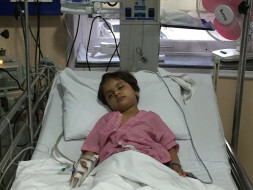 It has been a year since Aaradhya's surgery. She is doing good now. She had a cyst behind her pancreas, and that was removed after her surgery through endoscopy. She is doing very well and goes for regular check ups. She undergoes blood tests as asked by the doctor. This December she will undergo a biopsy, and this has to be done every year. Here is an update on Aaradhya. 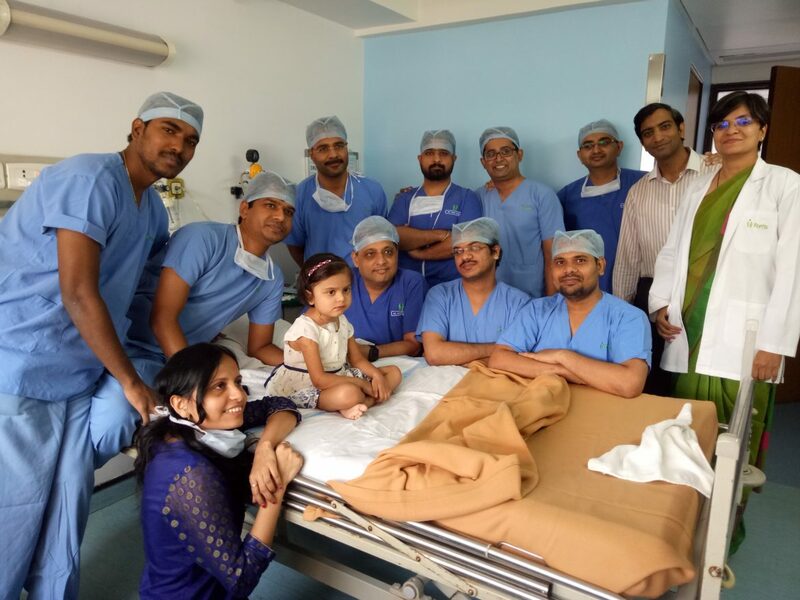 After waiting for almost 18 months, on 5th September 2017, Aaradhya got suitable donor heart from Gujarat and she has successfully undergone the heart transplant. Big thanks to all who contributed and to the donor family who took a hard decision to donate their 14 months old brain dead son organ. With all your support we had a successful campaign to create an organ donation awareness across India with name #SaveAaradhya . For the next 1 year, we have to keep her isolated to avoid any infection. You are the reason that Aaradhya is smiling now. Thank you. Please find Aaradhya's recent photos below. A heartfelt thank you for contributing generously and supporting Aradhya. Here is a small update on the little girl. 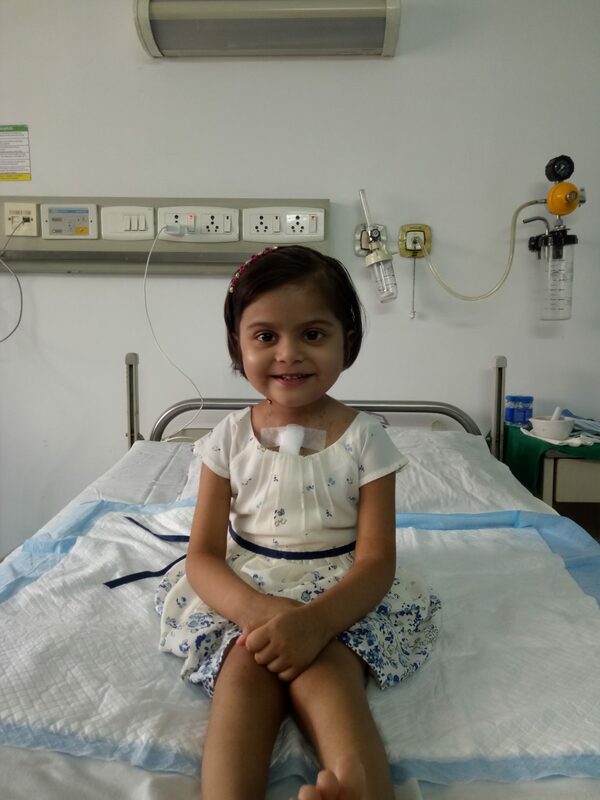 “Due to her age and weight, it is becoming very difficult to find a suitable heart donor for Aradhya,” says Yogesh, father of Aradhya. She is still on medication. After every 15 days, she has to get admitted to the hospital for 48 hours. The medications are temporary, in order to support the functioning of her heart. Earlier, her heart functioning rate was 25%. Now it is 10%. Let us continue to pray for the brave hearted girl and share her campaign. 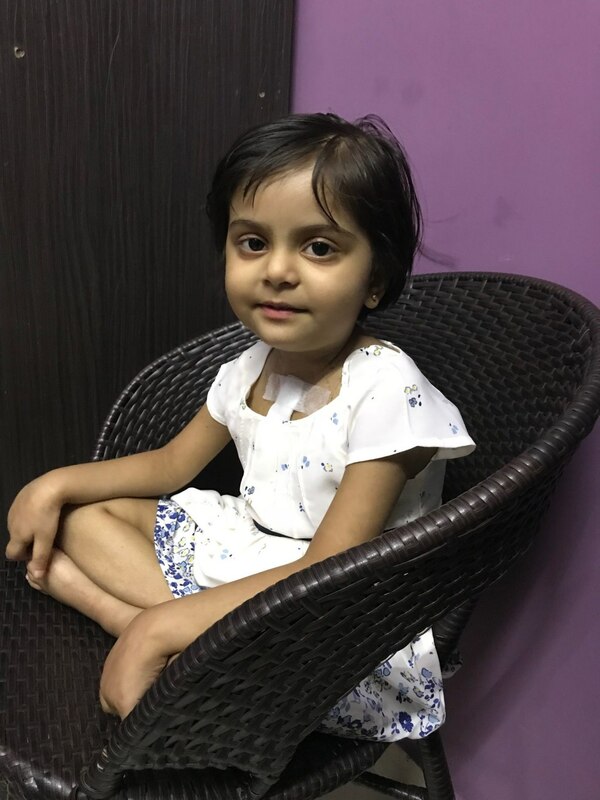 With the prayers of all you 1128 supporters, her family and all the loved ones, we are positive that a donor for Aradhya will be found very soon. We will keep you updated.